Variations in the use and frequency of advanced imaging post-surgery in patients with breast cancer were observed across regions of the United States. 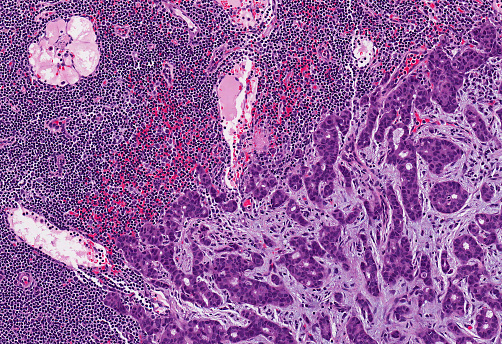 The retrospective study examined 36,045 women with early-stage breast cancer who had not received any chemotherapeutic therapies nor trastuzumab in the time between initial biopsy and 18 months following surgery. The de-identified outpatient claims that were the subject of investigation were gathered from Truven Health MarketScan Commercial Database from the period of January 1, 2010 to March 30, 2012, and represented data from approximately 100 insurance companies across a total of 428 specific geographic regions. Though there were no differences in mammography rates for patients across the country, the percentage of patients who received high-cost whole-body tomographic imaging ranged from 18% to 46% depending on the region of care. But beyond that, the next predictor of aggressive testing was the geographic location of the patient — which the study team wrote should not factor into treatment decisions. “What’s actionable here is that we have these guidelines, but doctors aren’t following them,” said lead author Benjamin Franc, MD, professor in the department of radiology and biomedical imaging at the Center for Healthcare Value and the Philip R.v Lee Institute for Health Policy Studies at the University of California, San Francisco. Although no concrete reasons were provided for the discrepancies in imaging practices, the research team hypothesized they could be due to specific protocols that physicians adopt across hospital systems and group practices. The claims the authors surveyed did not provide information about the factors leading up to why a patient required aggressive follow-up imaging, which the authors acknowledged was a limitation of the study. Franc BL, Copeland TP, Thombley R et al. Geographic variation in postoperative imaging for low-risk breast cancer. J Natl Compr Canc Netw. 2018;16(7):829-837. Breast cancer follow-up imaging varies widely, study finds [news release]. San Francisco, CA: University of California San Francisco; July 13, 2018. https://www.eurekalert.org/pub_releases/2018-07/uoc–bcf071018.php. Accessed July 13, 2018.